Allied Market Research published a report titled “Global Bio-implants Market (Types, and geography) - Size, Share, Global Trends, Company Profiles, Demand, Insights, Analysis, Research, Report, Opportunities, Segmentation and Forecast, 2013 – 2020.” The report provides in-depth analysis of the global bio-implants market. The report offers precise study of the key factors influencing the market growth in numerous geographies. The report comprises extensive information in the form of statistics and figures, which would assist the global investors and market participants to know the competitive landscape along with growth prospects of the bio-implants market in different geographical regions. Allied Market Research published a report titled “Global Herbicides Market (Type, Mode of action, Crop Type and Geography) - Size, Share, Global Trends, Company Profiles, Demand, Insights, Analysis, Research, Report, Opportunities, Segmentation and Forecast, 2013 – 2020.” The report would assist the global players in understanding the market dynamics and take profitable decision. Glyphosate applications are pushing the global herbicides market towards a poised growth. 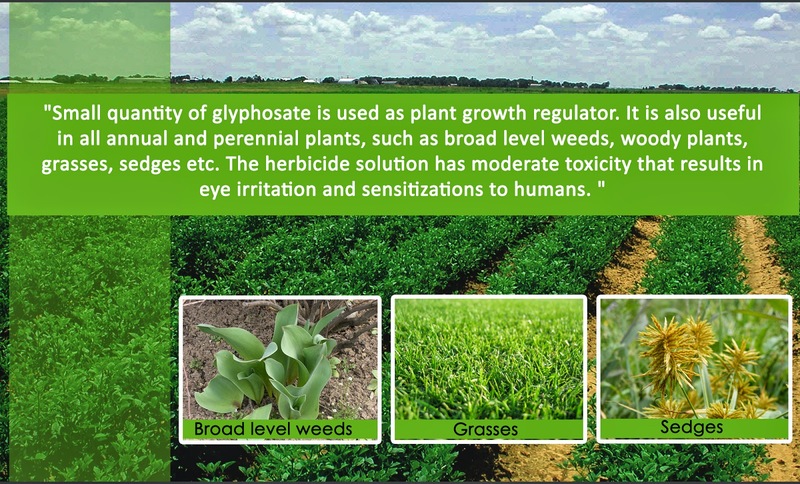 Glyphosate, a glycine derivative is a broad-spectrum, non-selective herbicide, which is applied directly to the plant foliage. Small quantity of the solution is also used as a plant growth regulator. It is useful in all annual and perennial plants, such as broad level weeds, woody plants, grasses, sedges etc. Glyphosate has moderate toxicity that results in eye irritation and sensitizations to humans. 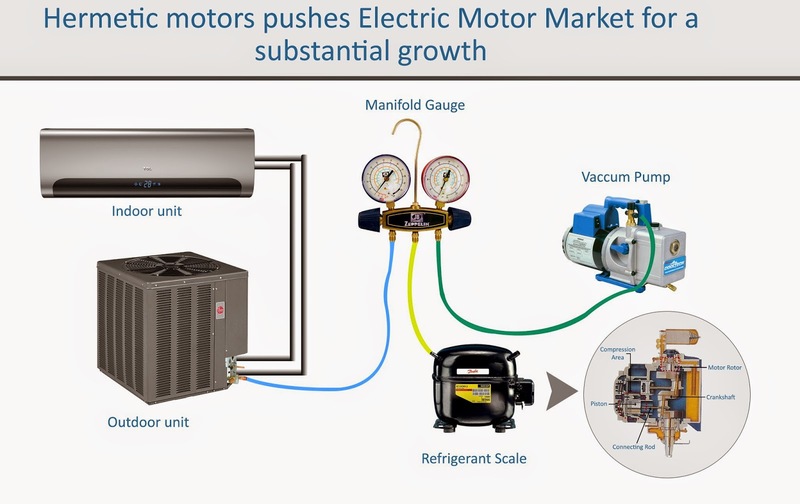 The report covers comprehensive information on electric motor market that would prove effective in taking market related decisions. Hermetic are enclosure types that are used in Refrigeration and Air-Conditioning, enclosed in a compressor cell, known as hermetic motors. They are sealed into the compressor assemblies of large chillers. Few of the compressor producers have established 24 V or 48 V DC motors for hermetic compressor applications. Huge levels of potentials to explore by pharmaceuticals as the high mortality rate and unavailability of effective treatments for Ebola. Allied market research publishes a new report titled “Global Potential Analysis of Ebola drug and Vaccines Market (Pipeline analysis, Drugs, Vaccines, and Geography) through 2020.” This report provides knowledge and deep-insights on the Ebola disease from the time of its existence. The report is an extensive study on the growing need for Ebola drug market. Ebola haemorrhagic fever (EHF) is popularly known as Ebola virus diseases (EVD). Headaches, muscle pain, sore throat and fever are most common symptoms seen in an Ebola patient. The disease is more predominant in western & central Africa and the around the tropical rain forest region. In terms of geographical analysis, report covers LAMEA, North America, Asia-Pacific and Europe. African countries have the highest number of Ebola cases and with the wide presence of African population in America, the US government is implementing strong regulations in order to control this disease. Allied Market Research published a report titled “Global Lawful Interception Market (Solutions, Components, Network Technology, Communication Technology, End Users and Geography) - Size, Share, Global Trends, Company Profiles, Demand, Insights, Analysis, Research, Report, Opportunities, Segmentation and Forecast, 2013 – 2020.” The report prepared by industry experts provides an in-depth and actionable insights on the global lawful interception market. Allied Market Research adds a new report titled “Global Pico Projector Market (Components, Product Type, Technologies, Model Type) - Size, Share, Global Trends, Company Profiles, Demand, Insights, Analysis, Research, Report, Opportunities, Segmentation and Forecast , 2013 – 2020.” Everything needs to be portable these days. Carrying heavy and big tech devices is not the trend anymore. The advanced technology we use today is capable of providing us all kinds of portable devices such as portable projectors, also known as pico projector. The report by AMR analysts provides deep insights into global pico projector market explaining the types, components, applications, technological factors and factors affecting the growth of the Pico projector market.